Do you have a favorite Christmas movie you save for the holidays? Then it's got to be Sleepy Hollow. I intend to get a DVD of it this year if I can find it. I like "A Christmas Carol" too Jess. But my favorite version is the one with George C. Scott as Scrooge. I think it was made in the late 1980s. Great flick for Halloween. When I finally saw it, however I liked it and I didn't like it. I liked it, but I thought, either they should have gone with the business of Crane being a "modern," "scientific" detective--and had it turn out to be nothing supernatural--or else they should have dropped the opening bit about modern science and just made it all supernatural. The mixture of the two left me feeling kind of--I don't know--eh? It was steampunk. I really like it. They did pursue the scientific/gumshoe line, until he found out it was really supernatural. Kinda X-files like. I also like how Depp's hero Crane is basically a coward. that is a HOLIDAY show?!? I'll have you know in the Magickal community Halloween is the biggest holiday of our liturgical year, so there. Actually, David, it goes all the way back to 1984. But, thank heavens, I've finally found someone else who likes that version! Eh, I didn't like George's version. He only had one expression - stern and hard - so his conversion was less convincing IMO. And OMG, I was overjoyed Patrick Stewart made a version, then the producers committed the unpardonable sin of making a Christmas Carol boring. I got bored and walked off after a while. I NEVER do that with the older 1940's versions. I was SO disappointed. My favorite is, and will always be, "It's a Wonderful Life", with Jimmy Stewart. Steve and I pick a night when it's snowing and the tree is up, build a big fire, fix Blueberry Tea (decafe English breakfast tea, shot and a half of GrandMarnia (sp), shot of Amaretto, and lemon peel--devine) and immerse ourselves in that movie. Crying like babies when it's done. Perfect. You know about blueberry tea, then?? Every time a bell rings an angel gets his wings! Scrooged is my favorite. It's a perfect role for Bill Murray, and I hope to see him in a traditional production of Christmas Carol someday. Are we allowed to make lists? There's so many. I can't think of them all. I also love the traditional Christmas shows - Rudolph the Red Nosed Raindeer, A Charlie Brown Christmas, Frosty the Snowman, Santa Claus Is Coming To Town, and others. And I'd be a humbug if I didn't love all the old classic Christmas movies - Holiday Inn, Miracle on 34th Street, It's a Wonderful Life and The Bishop's Wife. David, the Christmas Carol with George C. Scott is a favorite, also. I'm thinking about buying that one in a few days. I also can't face the Holidays without Planes, Trains and Automobiles! I have the George C. Scott version on DVD Marie! I bought it at Wal-Mart. I'll bet they'll have it for sale again this year too! There is a special story attached to that movie. I'll tell you about it in a PM in the next day or two, okay? "A Christmas Memory", a short story by Truman Capote. Maybe one of his best. Quite autobiographical. Based on his childhood relationship with his elderly "aunt" Sook, who I think remained a child her whole life. The film version(1966) stars Geraldine Page as Sook and it is narrated by Truman himself. It's very simple and effective. It's not a traditional Christmas story at all. Now that I think of it, I think it shares some qualities with Brokeback Mountain. It's a short story set in the past, the 1930's in this case. The friendship between the young Truman and Sook is somewhat frowned upon, neither of them are quite accepted as they are. The story does not wallow in sentimentality, but it is wistful and sad. Not a traditional Christmas story in the way BBM was not a traditional love story. Thanks, David. I look forward to hearing your story. Walmart has this particular DVD on sale in a 4 pack with other Xmas movies that I'm interested in buying. I'll probably pick them up in a day or so. I've read the short story, but have never seen the movie. The story is very charming and heart-warming, if sad. I like their trek to get whiskey for fruitcakes from Mr. Haha Jones. Sweet story. And a glimpse into the sad and unsettled life of Truman Capote--this chapter must have been one of his favorites spent with his friend who was -- while much older -- close to his mental age and a good playmate for him. I'll have to see the movie. I've heard that the old version is better than the new one. the 1945 version of "The Cheaters" with Billie Burke, Josef Schildkraut, and Eugene Pallette. 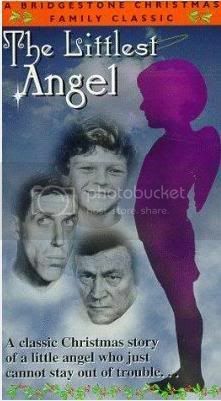 David, I remember The Littlest Angel! With Johnny Whitaker from "Family Affair". I must have been 6 years old when I saw this. I wonder if it's available now. I just saw The House Without a Christmas Tree at Barnes & Noble on DVD. When I was in 6th grade, our class put this on as our Xmas play. We actually went over to our teacher's house to watch it together, take notes, and we wrote our own script. Memories! THANK you. I've been wondering, "Haven't we had this conversation?" Yup! That's the one Paul! I'm glad you remember it. I also remember watching it on TV when I was a youngster. They played it for several years and then I never saw it again. Like you, I also wonder if it is on DVD. It was one of my favorite Christmas shows as I was growing up. In addition to Family Affair and the Littlest Angel, I also fondly remember Johnny Whitaker in the movie "Tom Sawyer" with Jodie Foster. I have a special fondness for The Homecoming, which is the movie upon which "The Waltons" was based. The movie had different actors playing Olivia and John - Patricia Neal (LOVE her) and ... some guy. Everyone else was the same as in the TV show, I think. I wonder if they'll show it this year, since it's about the Great Depression, and how this huge family is trying to scrape out an existence in the mountains of West Virginia, and how their Dad makes a long trip into the nearest big town to buy Christmas presents for the family and doesn't return. As the panic starts to set in, it's interesting to see how each of the family members copes with the thought that he may not come back. On a lighter note, I also love Scrooged, A Christmas Story (you'll shoot your eye out, kid! ), and Christmas Vacation. And I cry every damn time the Grinch's heart grows three sizes that day. Hey Barb, I just looked up The Homecoming on IMDb. The "some guy" playing John Walton was Andrew Duggan. Also, Grandpa was played by Edgar Bergen (father of Candace, and famous ventriloquist with Charlie McCarthy). Interestingly, they list the Bridger-Teton National Forest, Jackson, Wyoming as the filming site! I just saw the DVD at Barnes & Noble the other day. Ooh! I may just have to make a stop at B & N one of these days. I remember when they first aired "The Homecoming", we were in the middle of watching it when my baby brother came staggering home, having walked half a mile from the scene of a car accident which later put him in the hospital in a coma, and injured my mother, my older brother and younger sister. When I saw my little brother I was horrified, and I never, ever saw the end of "The Homecoming." Everyone did recover from the accident, and the other party, neighbors from up the street, were charged with reckless driving. Wow, Louise, what a horrible association to have. I'm glad yours had a happy ending. my brother hovered in a coma for 5 days, and those were the worst 5 days I ever remember. My mother, who is by nature a stoic, kept bursting out crying saying "My baby is dying, my baby is dying!" This, from an R.N., was extremely disturbing. However, we did learn who the favorite in the family was. Wow. So sorry to have drudged that one up for you, Louise. Here - let me give myself a paper cut, and you can pour lemon juice on it. Its not nec my favourie but saw The Holiday last yr with Kate Winslet & Cameron Diaz. It was VG! Yeah, I liked that one too. Just watched this tonight - pretty funny!! Just finished watching one of my favorite holiday movies Love Actually and when I went to IMDb, I found an interesting bit of trivia. A speech given by Hugh Grant in ‘Love Actually’ - where he extols the virtues of Great Britain and refuses to cave to the pressure of its longstanding ally, the United States - was etched in the transatlantic memory as a satirical, wishful statement on the concurrent Bush-Blair relationship. Tony Blair responded by saying in 2005, "I know there's a bit of us that would like me to do a Hugh Grant in ‘Love Actually’ and tell America where to get off. But the difference between a good film and real life is that in real life there's the next day, the next year, the next lifetime to contemplate the ruinous consequences of easy applause." I enjoy that movie too. I like the format, the many characters, sadness turning to happiness, connections between people revealed as the movie goes on, good music. There are a lot of bits in that movie I like. And I always tear up at the end, with the Beach Boys singing "God Only Knows" as families and friends meet at the airport, more and more and more of them. Almost every time I'm at the airport to pick someone up, I marvel at how important it is to each of us to get just that certain person who is coming off the airplane, and not their seatmate. People are so not interchangeable. I love love love that bit too! My favorite is A Chrismas Story! On Christmas Day it's on TV for 24 hours, and I just love it having it on while I'm doing my Christmassy things around the house! Christmas is over now but The Homecoming is a favorite of mine. Nobody watched Die Hard this year? 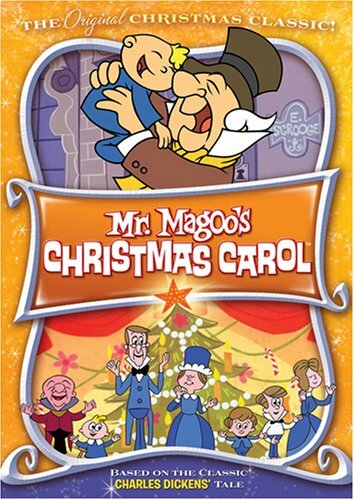 I can't vouch for the accuracy of it, but I noticed this evening that the current issue of TV Guide lists a broadcast of Mr. Magoo's Christmas Carol for this Friday evening. I haven't seen that in, oh, 50 years. That was actually my first introduction to the Dickens classic. 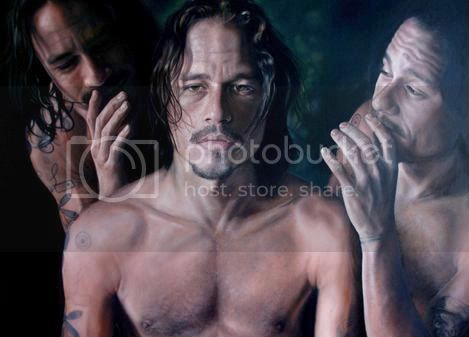 I love the music in that one....."All Alone In The World"...."Winter Was Warm". A favorite is Truman Capote's "A Christmas Memory". He narrates it himself, it's a biographical story of a Christmas he spends with his cousin, played by Geraldine Page, in the '30s. The largely autobiographical story, which takes place in the 1930s, describes a period in the lives of the seven-year-old narrator and an elderly woman who is his distant cousin and best friend. The evocative narrative focuses on country life, friendship, and the joy of giving during the Christmas season, and it also gently yet poignantly touches on loneliness and loss. Now a holiday classic, "A Christmas Memory" has been broadcast, recorded, filmed, and staged multiple times, in award-winning productions. Last night I watched my tape of A Christmas Carol with George C. Scott. this one always makes me laugh/smile. Yep! And I watched it! The movie is a Czech/GDR coproduction from the early 70ies. The story varies from other versions insofar that Cinderella has three wishes from three magic acorns. And her character is less 'disneyfied' and passive, which is really neat. This girl can hunt and shoot with a crossbow! Brings to mind Ever After, with Drew Barrymore as the Cinderella character and Angelica Huston as her stepmother. That one isn't a holiday movie, but it's also very "un-Disneyfied." I guess it doesn't exactly qualify as a holiday movie, but I really couldn't decide where else to put this, but Rudolph the Red-Nosed Reindeer will be on TV tonight. Was it Friday of last week that "they" already showed the "real" How the Grinch Stole Christmas (the Dr. Seuss cartoon, not the Jim Carey movie)? I think I read somewhere that A Charlie Brown Christmas will be on TV next week. I've started to watch the Christmas movies that Hallmark Network airs now. I've already managed to see a favorite of mine, "The 9 Lives of Christmas". 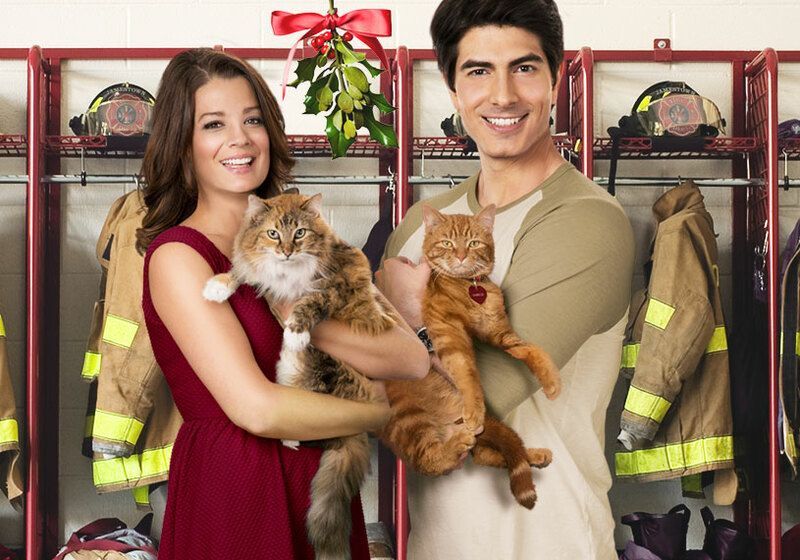 Fireman Zachary Stone (Routh) is a confirmed bachelor who doesn’t believe in love or commitment. When a stray tabby cat named Ambrose shows up at his door, Zachary takes him in and slowly starts to see that a little companionship might not be so bad after all. Zachary’s commitment to solitude is further challenged when he meets Marilee (Sustad), an animal lover and veterinary student who teaches Zachary how to care for his new feline roommate. Chemistry immediately develops between the two, but will they find a way together despite themselves? Looks cute! I guess my favorite would be "Love, Actually" and "Little Women" would be a close second.